R9: *(K1, YO 2 times), rep * till last st, K1. R10: Knit, dropping all YOs. 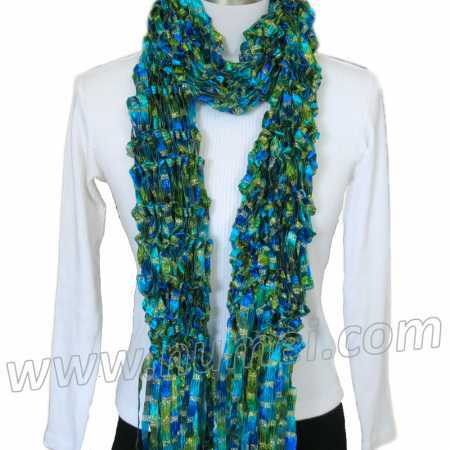 Repeat R7-10 till scarf measures 58", ending with R8. Cut strands of yarn about 12" long. With one strand at a time, attach along both cast on and bound off edges.